Not only Yeezy season, but Yeezy years: Adidas is expanding its partnership with Kanye West through various product categories. Under the Yeezy brand helmet, the “Adidas + Kanye West” team-up will prospectively market a full range of both sneakers and streetwear but also sports shoes, apparel and accessories for all genders, making this the “most relevant partnership of all times between a celebrity non-athlete and a sports brand”, as Adidas put it. The specific sports category West will design for will be revealed at a later time. Mainly based in Adidas’ US headquarters in Portland, Oregon (but also residing in the brand’s offices in Los Angeles and Herzogenaurach, Germany), a dedicated team shall direct the development and production of all Yeezy product together with the rapper himself. The merchandise is supposed to combine technical performance features with visionary lifestyle designs. It will carry the Yeezy and Adidas logo - either the trefoil or the Badge of Sport, depending on the category. Apart from being sold at Adidas retail stores, via Adidas e-commerce and through selected wholesale partners, Adidas is also “working closely with Kanye to open free-standing Yeezy Adidas + Kanye West retail locations in the coming years”, as was disclosed. With Adidas + Kanye West we are exploring new grounds, by opening up the world of sports for Kanye’s creativity. „Kanye is a true creator who sees things that others don’t. […] With Adidas + Kanye West we are exploring new grounds, by opening up the world of sports for Kanye’s creativity. Because that is what Adidas is all about: giving creative makers the possibility to create something new”, said board member Eric Liedtke, responsible for Global Brands within the Adidas Group. Adidas and Kanye West started their partnership almost two years ago. 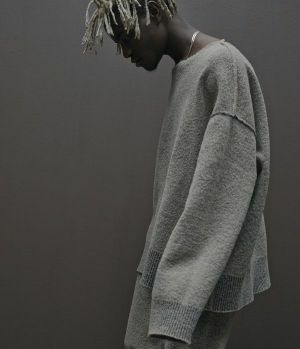 In February 2015 they presented Yeezy Season 1 during New York Fashion Week, causing an absolute social media stir – just as the Yeezy Boost 750 sneaker and following Yeezy Boost 350 model did.